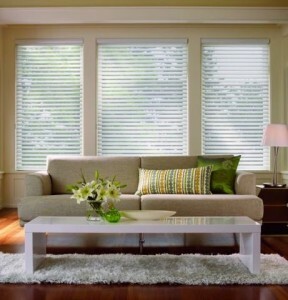 Update your window treatments and refresh your home decor instantly with new composite wood blinds and sheer shades. When we bought our home a year and a half ago there were many things that we loved about it – a huge backyard with a two tiered deck and a hot tub, big windows and a finished basement with a pool table! …however there were two updates that needed attention to refresh our home! 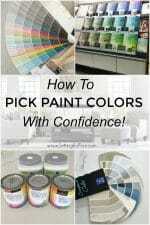 Repaint the walls to create a neutral color palette and update the blinds and window treatments. We’ve done a lot of painting since we moved in and just recently we’ve updated many of our window coverings! I’m so excited to share our new custom blinds and shades that we just installed! Let’s start by taking a look at our roman blinds and shades that needed to be replaced. The existing blinds just weren’t our style… and they were literally falling apart; the trim was falling off and they weren’t functioning properly: they would constantly jam and get stuck when we would open and close them! 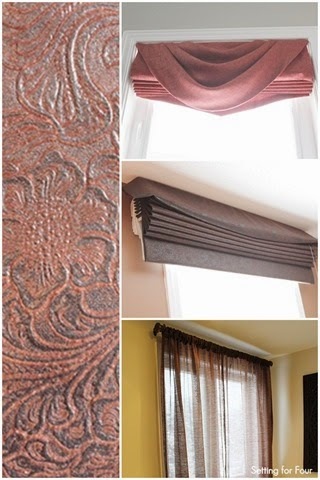 The top right picture: a roman shade with swag valance made from a rose pink fabric – these were in our living room. The middle right picture: the roman shades that were in our basement….made from some sort of embossed ‘leather’(shown on the left); these were SUPER heavy to raise and lower! The bottom right picture: the brown polyester sheer short curtains in our Master Bedroom ensuite bathroom. So now you can see why we needed some window treatment updates! 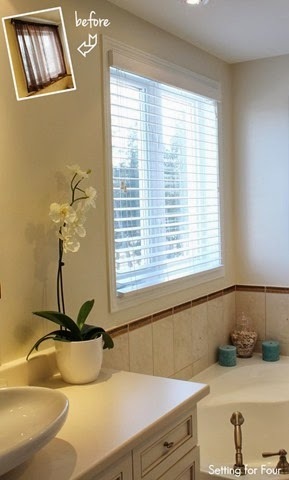 I selected classic white faux wood blinds for the windows in our basement, our ensuite bathroom and our teenager’s room for energy saving benefits, light control and privacy. Faux woods are super durable and moisture resistant, great for high humidity bathrooms! 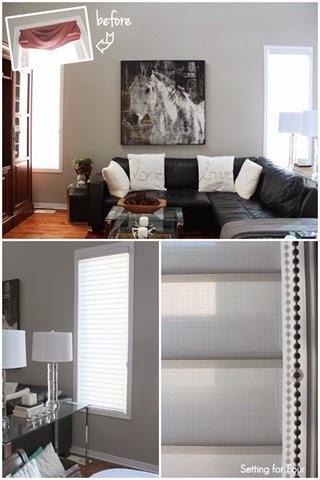 I selected stylish sheer shades for our two family room windows for a modern elegant look that would offer filtered light and room darkening ability when we watch movies. Sheer shades are a combination of opaque and semi opaque materials; when they are open they filter the light and when they are closed they completely block the light. They also can be opened completely and they fold up to the top of the window at times when you’d like a completely open view. Here’s our Master Bedroom Bathroom Ensuite update! Much better! No more brown polyester! I LOVE our new window treatments so much! What a huge difference they make to the overall look and feeling of our home! So much more stylish, functional and bright! So what do you think of our new blinds and shades? A big improvement to our home aren’t they? 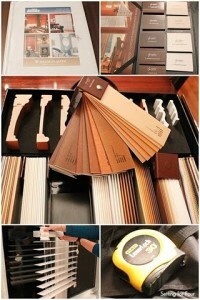 I actually got blackout shades for my kids’ rooms from Budget Blinds last year! I was impressed. 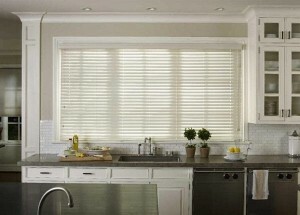 The shades are really nice, there were a million options, and the installation was quick and professional. I’m glad to hear you had such a fabulous experience with them Katie! I was blown away with how quick the installer was able to put them in as well. It sounds like your blackout shades are perfect for your kiddos rooms! Thanks for your lovely comments Mary Beth! Yes, it was so convenient that our installer adjusted everything properly and put all the shades and blinds in place! 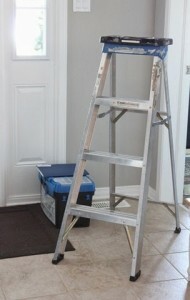 He brought all of his own tools, ladder ect so we didn’t have to provide a thing! 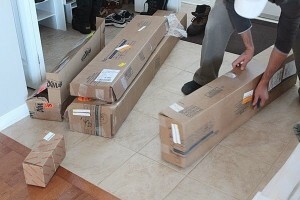 He bagged up all of the packaging and boxes too! Like you mentioned, it can be frustrating to try and get window treatments to hang and fit properly when you do it yourself. Budget Blinds will certainly help you with that when you order their window treatments in the future! Heather, your new window treatments looks wonderful. 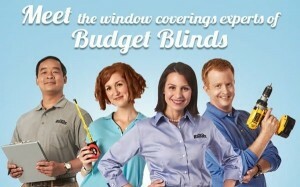 I really like that Budget Blinds makes “house calls”! Now that’s customer service! With the busy lives we lead, this is a huge time saver! Jeanie – you are so right! It’s a huge time saver that Budget Blinds will come to your time on your schedule and then install them professionally too! I love those sheer shades! 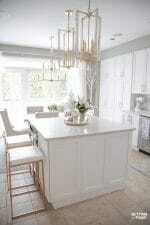 What an awesome way to refresh your space without having to change out all of the furnishings. It looks wonderful! Thank you Heidi! 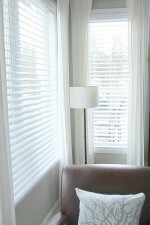 We are really enjoying our new Budget Blind window treatments! I desperately need new blinds in my entire house! Mine are awful! I’ll be checking out this company! Thanks Randi! 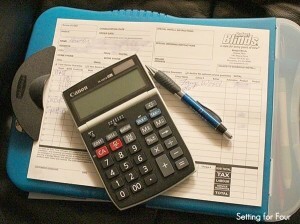 As I mentioned, Budget Blinds has a sale on now – check it out at BudgetBlinds.com! Wow, gorgeous window treatments Heather! 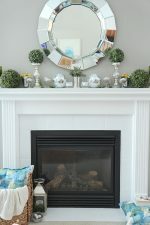 Your home must look so refreshed!! It does Jo-Anna! I’m so relieved thosed dated treatments are gone! They bothered me so much! Our new ones make our home so much brighter! We love the updated styles too Kristin! It’s truly amazing how changing a home’s window coverings create such a brighter, fresher look! Thanks for your lovely comments! Thanks so much! I agree that choosing window covering colors and styles can be very personal – that’s what is so great about Budget Blinds! 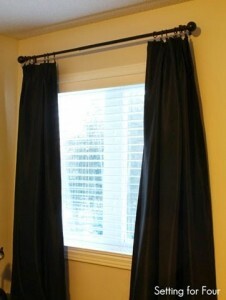 They tailor the window treatments to your personal style, specific window sizes as well as the function of your rooms! Oh my goodness, so many options!! The blinds really brightened your space. And I love the look! I’d say that’s a big improvement! I love the updated look! The blinds really brightened everything up! I’m amazed how brighter our rooms are now! I love that with the blinds and sheer shades I can adjust the amount of light that comes in – from full light to complete room darkening! We have the same blinds – I LOVE them! 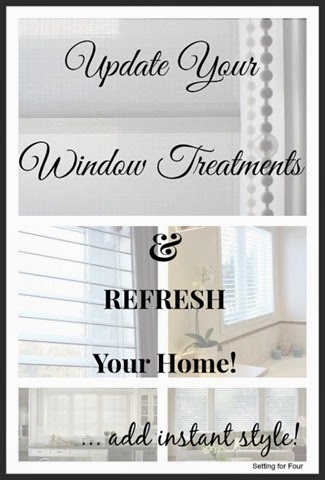 It’s amazing what a big difference that window treatments make!